I would like to share my experiences of dusserha this year. 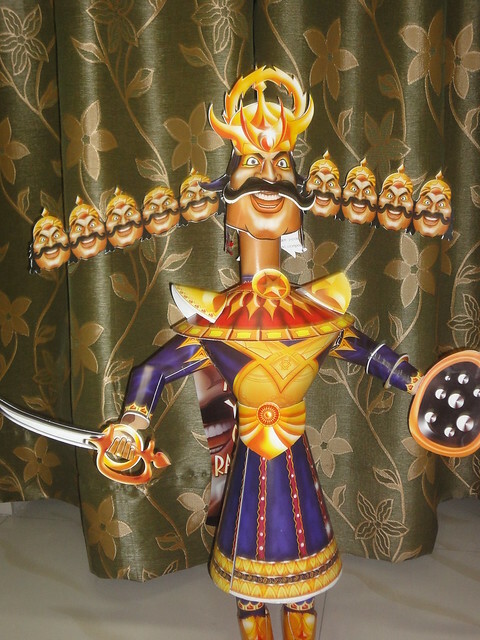 My mother bought a Paper craft kit for making the effigy of Ravan. 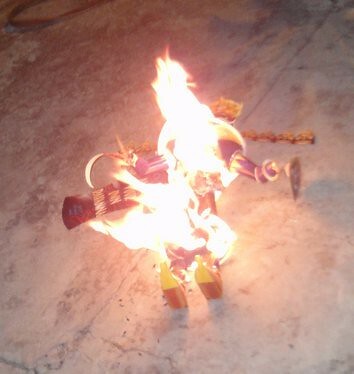 The kit was called ” MAKE YOUR OWN RAVANNA”. It consisted of printed snd perforated cutouts for various parts of Ravan’s body and dress and accessories made on card paper. 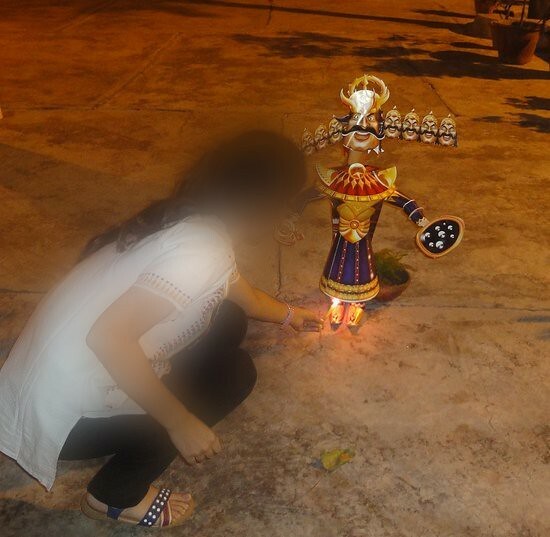 It also had the instructions how they should be joined together to give a 3 dimensional model of the Ravan’s effigy. 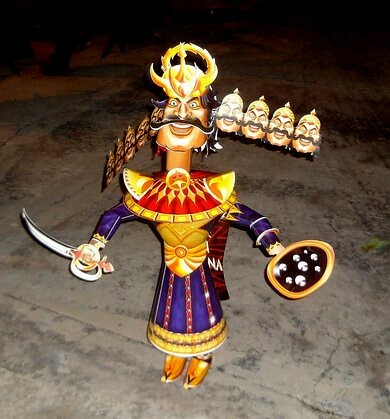 But at last, after much struggle with fevicol, feviquick stapler and cello tape , our Raavan was ready…………..
Look at the way he is laughing!!!!! He has no idea that he has been created only to be destroyed!!!!! I think it too was sad that it was about to be burned. Here I am, burning something that I had myself put together with my hardwork. But Hey! It WAS fun to burn it!! when it caught fire, it burnt firecely and toppled over!!! ………. It was fun watching it burn!!! 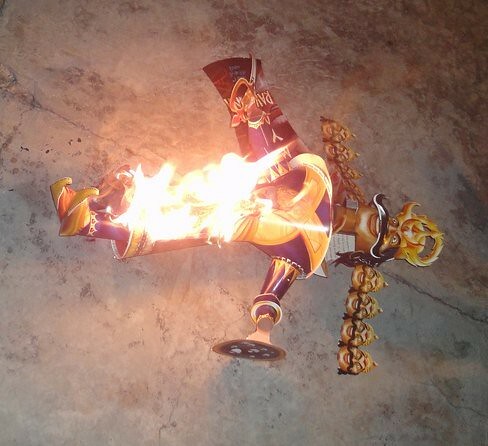 Burn Raavan burn!! And take all the evils of this world with you.